This caricature of Le Devoir's Garnotte, Aislin of The Gazette, Serge Chapleau of La Presse and André-Philippe Côté of Le Soleil was offered to the cartoonists by Gilles Duceppe at the opening of the "Cartoon Canada" exhibition at the McCord Museum. 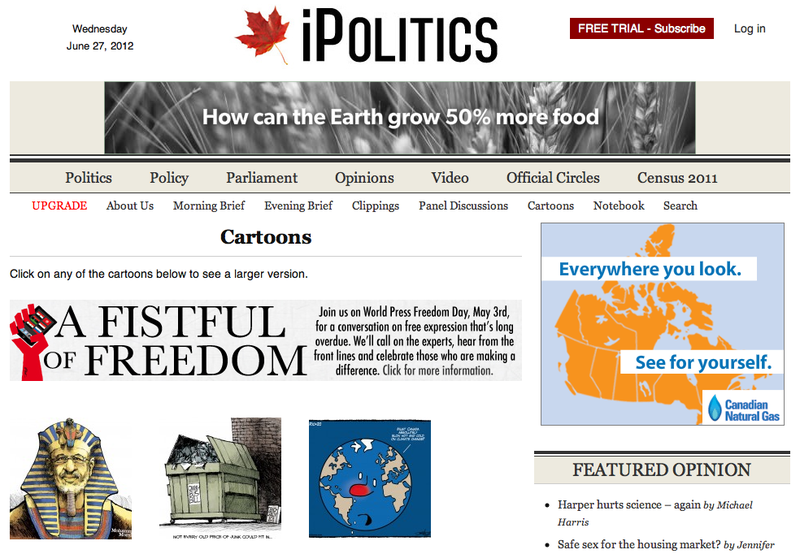 Members of the Association of Canadian Editorial Cartoonists were asked to submit their favourite cartoon for an exhibition at the McCord Museum to open during their convention in Montreal. The catalogue of the exhibition will be published on July 1, Canada Day, by Linda Leith Publishing. 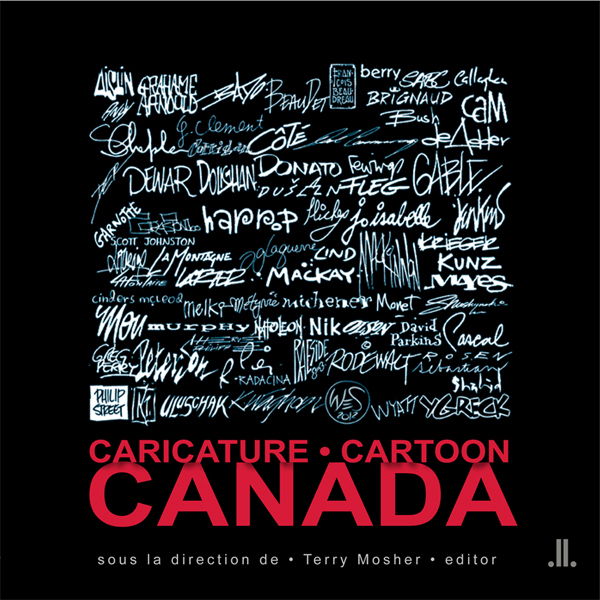 The National Post's books editor Mark Medley interviews Montreal Gazette cartoonist Terry Mosher (Aislin) about Cartoon Canada, a newly published survey of Canadian political cartoons. Theo Moudakis (Mou), The Toronto Star. Member of Parliament for Papineau riding, Justin Trudeau is a surprise guest at the convention of the Association of Canadian Editorial Cartoonists where he pretty much announces his candidacy for the Liberal Party leadership race. You can see the Gazette video here. The complete story on CBC News. 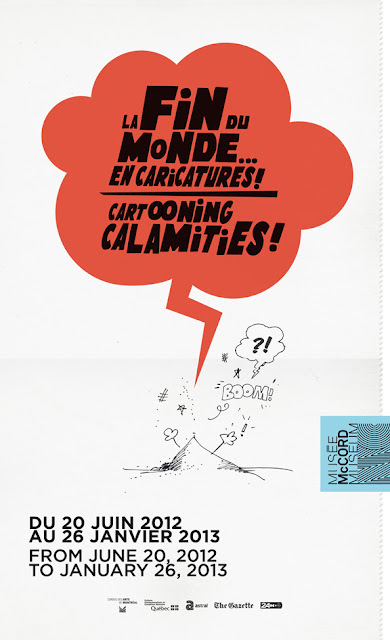 Here are a few photos of the "Cartooning Calamities" exhibition at the McCord Museum in Montreal. The complete exhibition can be seen online. The last original “Life in Hell” comic, Mr. Groening’s 1,669th strip, was released on June 15. Pulitzer Prize winning editorial cartoonist Clay Bennett interviewed in 2005 ago by Leonard Witt. In December 2005 editorial cartoonists let the Tribune Company have it with their Black Ink Monday protest against the slow demise of editorial cartoons in newspapers. 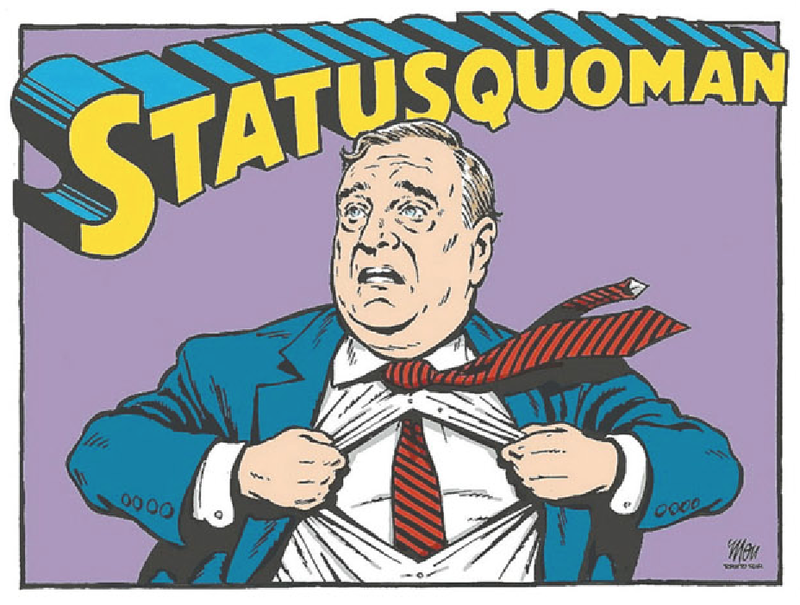 In this Leonard Witt IM Interview Clay Bennett, the then president of the Association of American Editorial Cartoonists, offered his opinion on why editorial cartoons are vital to the long-term survival of newspapers. This interview was part of Witt’s Journalism and the Public: Restoring the Trust IM Interviews series, underwritten in part by the Ethics and Excellence in Journalism Foundation. 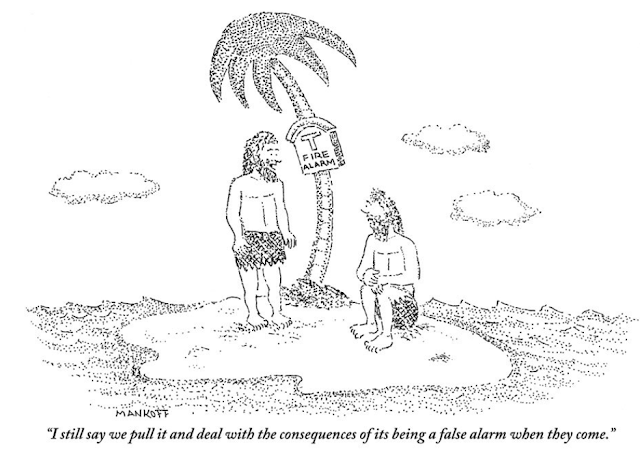 ... this gag cartoon by Sean O'Neill featured last week in Françoise Mouly's "Blow Covers" blog. 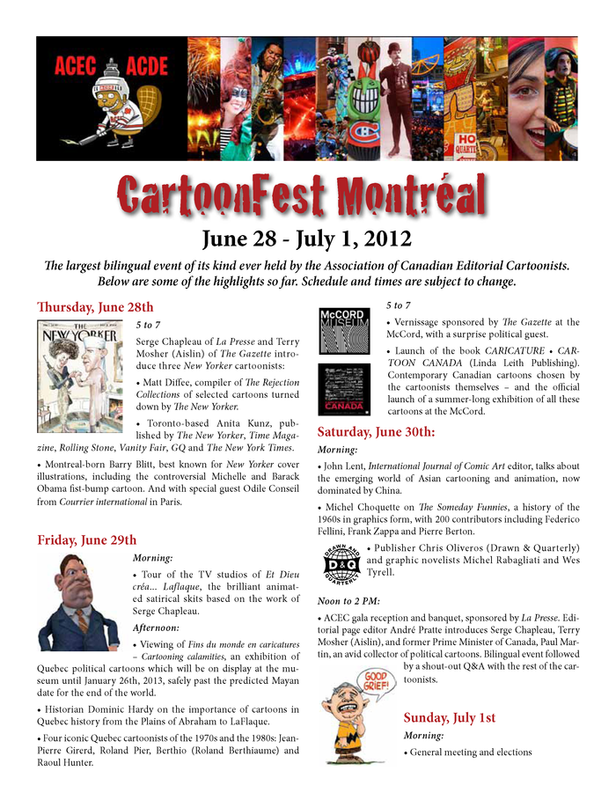 Here are the exclusive cartoons commissioned by the McCord Museum for the "Cartooning Calamities" exhibition. 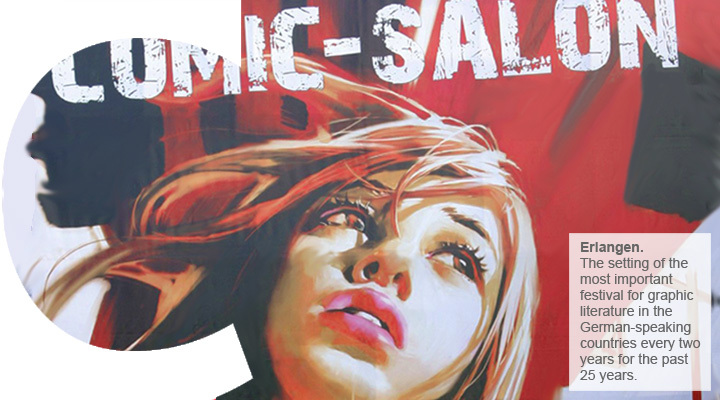 The liberation of comics from a form of entertainment to a medium that is on an equal level with other phenomena of literature and art has a number of father figures. For France, one may mention Jean Giraud, for Latin America Alberto Breccia, for the USA Art Spiegelman. For Italy, Lorenzo Mattotti must be included in this illustrious group. As his own scenarist, he liberated comics narration toward poetry with works such as “Spartaco” or “Fires”. With his painterly brushstroke in “Fires” or “Caboto” as well as his graphic precision in “The Man at the Window” or “Stigmata”, he has transformed panels into a basis for art exhibitions. Even if he has been very successful as an illustrator and visual artist for a long time, narrative imagery is still his “amour fou”, as he once confessed. He has shared this inoperable passion with different scenarists such as Jerry Kramsky or Lilia Ambrosi. Every scenario emanates from Mattotti’s grand main subjects such as loneliness, dreams and metamorphosis. Lorenzo Mattotti is a revolutionary of the comics genre who has inspired many artists and scenarists to find their own individual and challenging style. That is the reason he is being honored with the “Max und Moritz” -Lifetime Achievement Award for his life’s work. 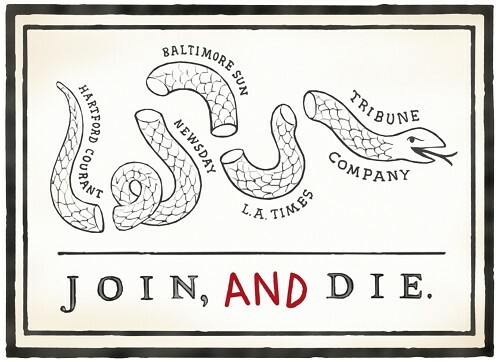 The big story in journalism today was the announcement that the New Orleans Times-Picayune is to lay off one third of its newsroom as it transitions to a thrice weekly newspaper. 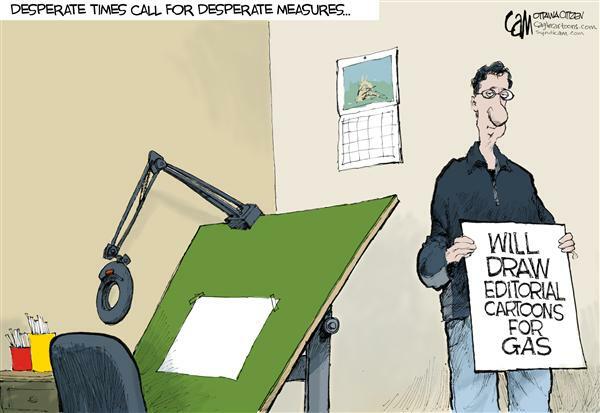 Among those told they will not have a job come October 1 is editorial cartoonist Steve Kelley who will soon complete 10 years at the paper. "Cartooning Calamities!" 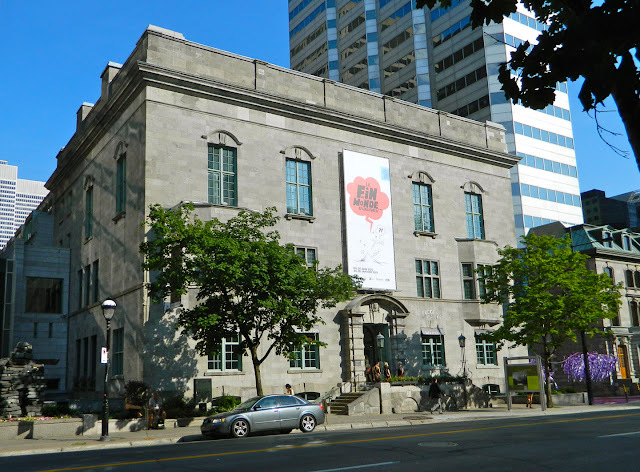 will strike the McCord Museum from June 20, 2012 to January 26, 2013! 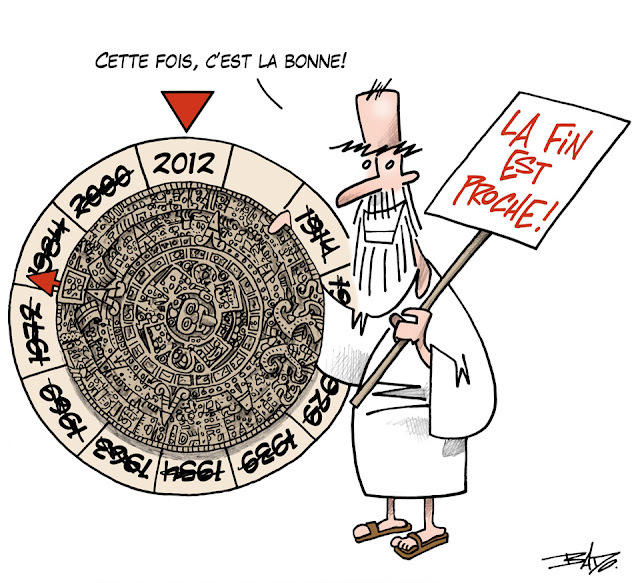 With the Mayan calendar predicting doom, gloom, and the imminent end of humanity, the Museum presents the very timely Cartooning Calamities! Covering almost 150 years of current events, the exhibition explores all things catastrophic as seen through the eyes of 16 Quebec editorial cartoonists, including Aislin, Bado, Beaudet, Chapleau, Garnotte, Godin and Pascal. Taking a humorous look at a preoccupation that never ceases to spur conversation, the exhibition allows us to reflect on the issues of the day from a perspective that only an editorial cartoon provides. The exhibition is divided into five separate themes: political calamities; major upheavals affecting humanity; death before the end of the world; calamities that never were; and the end of the blue planet. Bruce Handy in Vanity Fair. You’d think by now, in a world equipped with G.P.S. and Google Earth, cartoonists would have wrung every last drop of humor from the premise of castaways marooned on desert islands. After all, they seem to have finally run through ladies trying to return hats and dresses for frivolous reasons, and explorers stewing in cannibal pots. 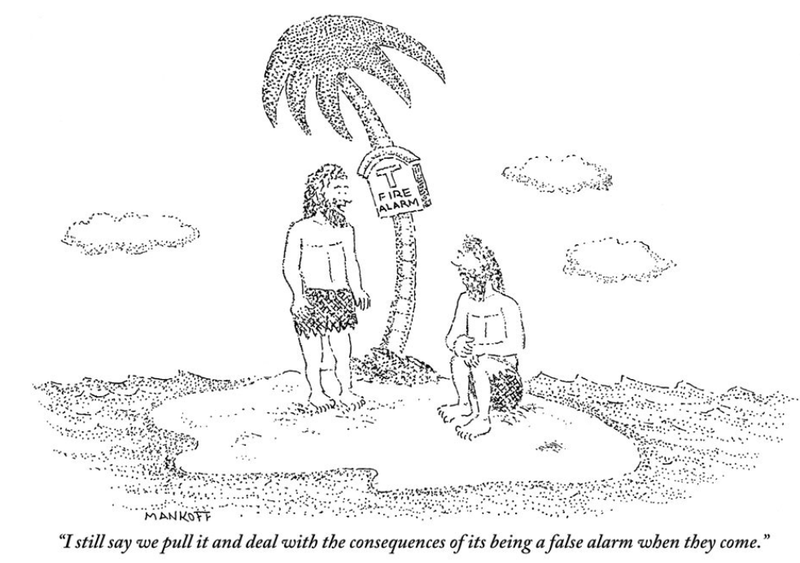 And won’t the castaways reveal themselves, anyway, when they inevitably check in on FourSquare, so where’s the joke? 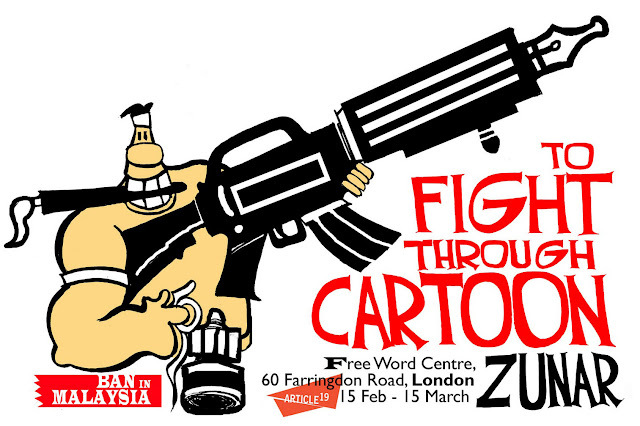 I would like to refer to the ruling made by the Election Commission of Malaysia which bans the use of cartoons in the campaigns for the up-coming General Election. (General election's date in Malaysia can only be decided by the Prime Minister, but must be called before the current term ends in March 2013). 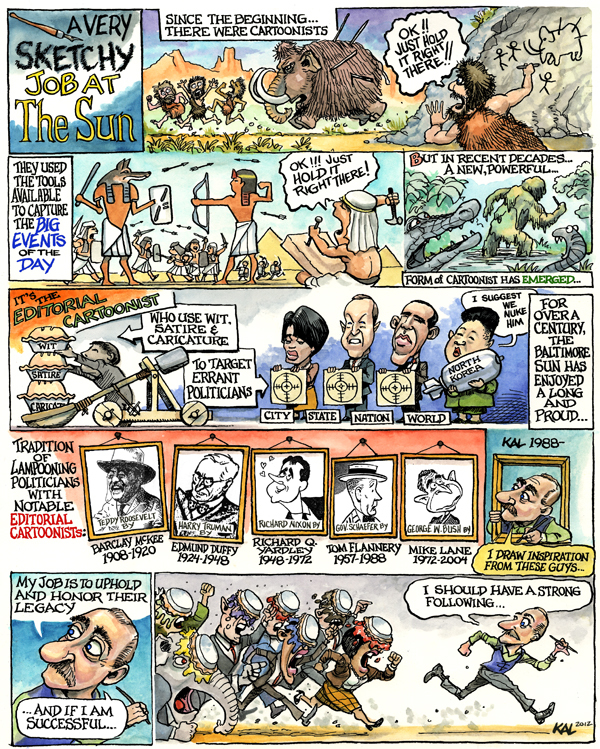 Ed Stein, who drew editorial cartoons for ever 30 years at the Rocky Mountain News before it closed in 2009, has decided to retire from editorial cartooning. He drew his last cartoon on May 31 (above). 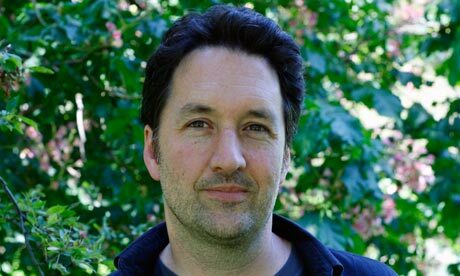 For over 10 years he drew a local comic strip called Denver Squares for the Rocky Mountain News and brought that to an end in 2008. 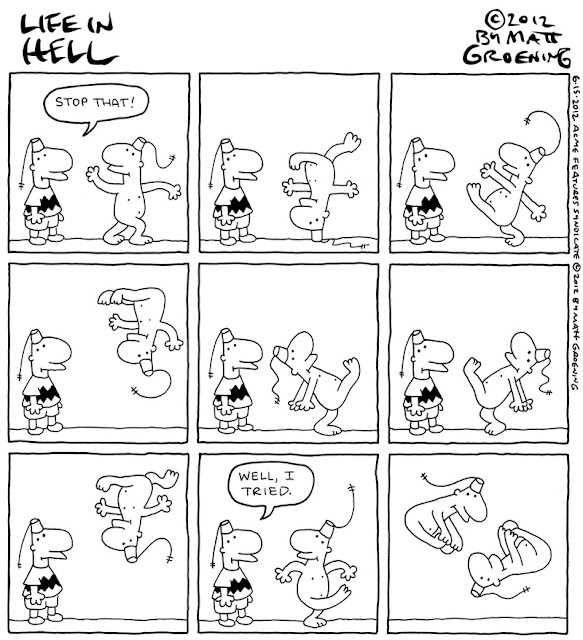 The strip was reworked and launched as a nationally syndicated feature called Freshly Squeezed in 2010. Ed will continue creating Fresh Squeezed. Four men were jailed for 12 years each on Monday for plotting a gun attack on a Danish newspaper over its cartoons of the Prophet Mohammad, whose publication in 2005 sparked deadly riots across the Muslim world. If Mad Men were set at the offices of a legendary magazine and told from the point of view of the receptionist, it would mirror Janet Groth’s seductive and entertaining look back at her twenty-one years (1957-1978) at The New Yorker. This memoir of a particular time and place is as much about why Groth never advanced at the magazine as it is about Groth’s fascinating relationships with poet John Berryman (who proposed marriage), essayist Joseph Mitchell (who took her to lunch every Friday), and playwright Muriel Spark (who invited her to Christmas dinner in Tuscany), as well as E.J. Kahn, Calvin Trillin, Renata Adler, Peter DeVries, Charles Addams, and many other New Yorker contributors and bohemian denizens of Greenwich Village in its heyday. 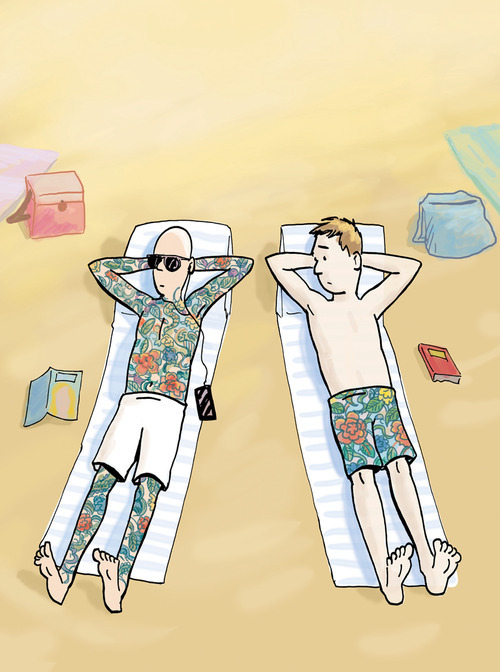 I am happy to report that Bruce Roberts has struck again with a cartoon posted in Françoise Mouly's Blown Covers blog. 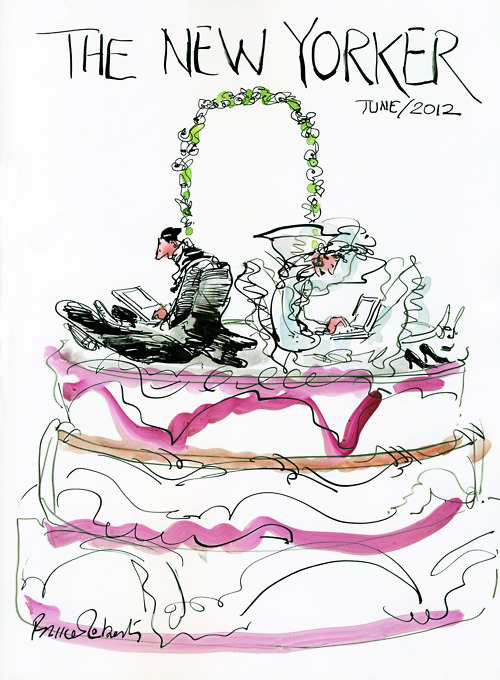 The subject this week: "Weddings". In an effort to cut costs, some newspapers in the U.S. and Canada have announced they are shedding print editions and moving to digital delivery of news. The Ottawa Citizen, owned by Postmedia Network Inc., will print its last Sunday paper on July 15, and plans on eliminating 20 newsroom jobs. Get an original Bill Watterson for $5,500. On Sunday, the Team Cul de Sac auction opened allowing the public to bid on original cartoon art donated by some of the biggest (and smallest) names in comics. Currently the big item – a Bill Watterson oil painting of Cul de Sac character Petey Otterloop is going for $5,500.